– the structured software design specification document that contains all the details and information required for system design. 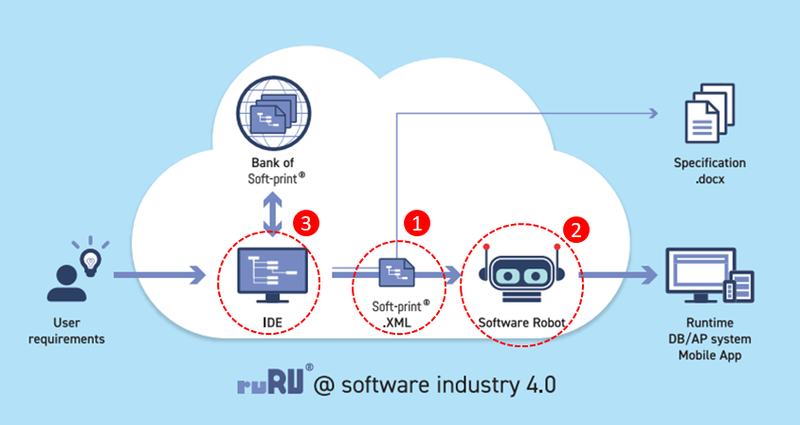 – it reads the software design Soft-print and outputs the transportable system in accordance with the design specifications with ultra-high speed productivity. – an integrated, intelligent software design platform that supports system designers’ standardized design work to produce the soft-print.